Who: Richard E. Grant, actor, writer, film director and founder of Jack Perfume. Mr Grant is not joking when he says he’s been led by his nose all his life. 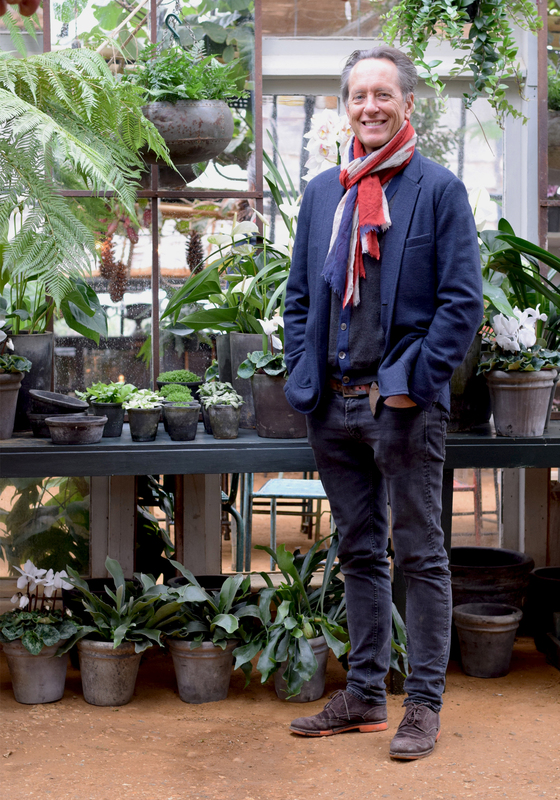 During our enjoyable interview (at the photogenic Petersham Nurseries) he inhaled his surroundings with gusto, from the fresh pine-drenched Christmas wreaths on display to the candles and festive decorations for sale. He is truly curious about how things smell and claims his wife often has to apologise for his enthusiastic sniffing. No wonder then, that his highly competent signature fragrance, Jack, won a Fi Fi (the Fragrance Foundation equivalent of an Oscar) for best independent fragrance in its launch year. The brand now has three fragrances, all strongly connected to Richard’s own theatrical journey through life, with more in the works. “Today I’m Wearing Jack Piccadilly ’69, which is my new fragrance and features bergamot, amber, petrol, patchouli and leather. It makes me feel empowered and it gets a great response, people frequently ask me what I’m wearing. Sting wears Piccadilly ’69 as does actor Hugh Bonneville (Downton’s Earl of Grantham to you and me). When I was twelve years old and came from Swaziland to London, I walked out of the tube station at Piccadilly Circus to discover the whole of Eros fountain covered in patchouli-scented hippies. The smell of petrol, which I’ve always loved, was everywhere. My parents then took me to Fortnum & Mason, where we had Earl Grey tea, which is bergamot based. After tea we went to my father’s club, which had leather banquettes. So, the smell of leather, patchouli, Earl Grey tea and petrol… I thought this has to go into a scent. Then in 1969, I saw Hair the musical, so it combined sexual awakening and scent all in one bottle. I try and find a different scent for every character I play. The first film I was in, 30 years ago, was Withnail and I. It was set in London in 1969, so patchouli oil was the scent for that character. There’s dialogue in the film that says ‘you smell like a perfumed ponce, what’s that terrible stench?’ To which the other character says ‘patchouli’, so its an homage to all that. From when I was 17 to 25, I used Eau Sauvage. 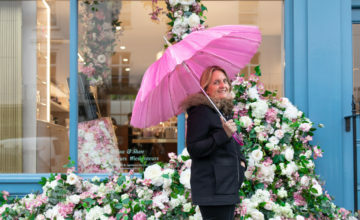 Then I worked as a waiter in Covent Garden at the Tuppence Brasserie and with my first pay check, I bought Blenheim Bouquet by Penhaligon’s, from the shop just around the corner. I wore that for for 30 years until I made my own. In between, when I was playing characters, I used either an oil or an ingredient that summed up what that character was. When I was working in Covent Garden, the fruit and veg market was still there. I’d seen My Fair Lady when I was a boy, so my memory of Covent Garden was that it was a magical place. It was also the centre of the theatre district and where Nell Gwyn, the orange seller and mistress of King Charles the First, became the Maggie Smith of her day. She was, I gather, an extraordinary woman and became the first legal female actor in our history, every part before that had been played by boys or young men. On the first night in the theatre or opera you are given flowers and actors and singers very often use a ginger infusion to clear their throats. So when I developed my second scent, Covent Garden, I thought about including oranges in homage to Nell Gwyn, ginger, roses, from all those first night flowers and the flower market. 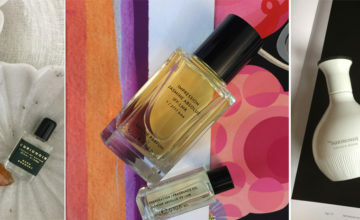 Then I went to Grasse with all the oils from these fragrances I wanted to include and discovered orris! Which everyone told me cost an absolute fortune. But once I’d smelled it I felt this was the basis, the ‘Rrrr’ of what I wanted the scent to be. So that’s how Covent Garden came about. The idea of saying something was ‘masculine’ or ‘feminine’ was Jurassic to me. I was a teenager in the 70s; the idea of unisex, burning your bra and the feminist movement was so global and such a phenomenon, I was absolutely hell bent that my scents should all be unisex. I’ve been led by my nose all my life, I’ve literally smelled everything. My father said to me when I was about eight, “why are you sniffing everything?” I said “well, the animals in the house do it’, to which he replied “well you aren’t an animal!” Then my biology teacher taught us that we’re all animals and I went home proudly and told him, so he couldn’t argue with it. I would have liked to have been a nose, but my job is very, very social and I’m not sure I’m solitary enough for it. I know from writing a book and a screen play it’s very solitary. I spray fragrance on my scarf and on my neck, although I read recently that you are supposed to spray it on your belly button, because that’s the centre of all your heat… although I haven’t done that. I wanted to create a quintessentially British brand. 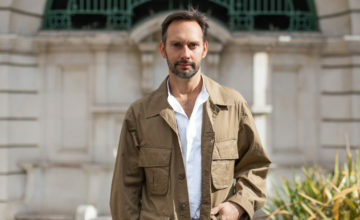 My idea was, if Jack succeeded as a first fragrance, whatever followed it would be London based, I had history with Covent Garden, I had history with Piccadilly, so the next one I am working on now, is Jack Richmond, which is where I live. An elegant patchouli-and-petrol first hit, with hints of Earl Grey tea and a lovely leather dry-down. Highly wearable.